When buying a home, you may be bombarded with a bunch of different home related insurance policies. Knowing which policies to invest in can be a real struggle. This post can help you invest in the right ones. As the home buying process finally approached its end, you may start to realize there are a ton of different home insurance policies to consider. While some of them are required and impossible to skip, others may leave you wondering what the best choice is. To help you spend your money wisely on the right insurance policies, check out these tips. One of the most well-known types of home insurance is homeowner's insurance. The reason behind this may be because homebuyers have to buy it since it's required by mortgage lenders. If you're paying cash for your home, you won't be required by law to get it, but this doesn't mean you should skip it. Homeowner's insurance covers a number of situations that can leave you at a serious financial loss. For example, damages caused by a fire are generally covered by this type of insurance policy. Without homeowner's insurance, you'd be left paying for the repairs yourself. Flood insurance isn't always required, but this will depend on a number of factors. Mortgage lenders may require that you are covered by a flood insurance policy if your home is located within a certain distance from a body of water. If your area is prone to flash floods, your lender will likely require you to pay for flood insurance. If this isn't included in their stipulations, you may still consider it because of the coverage it can give you. Hurricanes and unpredictable weather have caused serious damage to large areas in recent years, so there's no guarantee your home won't be affected by a flood. Title insurance is another type of insurance that is required by lenders. With that said, many people don't know what this type of insurance policy is for. Title insurance will basically cover the costs of legal proceedings and even losses you and your lender may suffer if a title defect comes up after you've acquired the home. A title defect, such as a tax lien or falsified signatures, can cause you to lose the home. With title insurance, your investment will be protected, giving you more peace of mind. A one-time payment will cover your rights to ownership for as long as you are the owner of the home. In fact, it will also protect your heir's right to ownership even when you're no longer around. Still not sure why you need title insurance? Contact the title insurance experts at Home Key Title to learn about the benefits you will enjoy with a title insurance policy. Give them a call at (508) 475- 5502 to learn more. Private mortgage insurance is something you don't want. This type of insurance will usually be mandatory for buyers who are unable to make at least a 20% down payment on the home. There is no benefit for buyers who have to pay for PMI, and the mortgage lender is the only one who really wins. 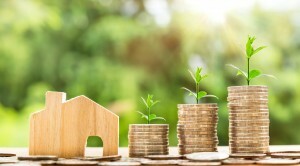 This, of course, means you'll be spending more because you'll be paying back your mortgage while also paying your lender for this type of insurance. To avoid wasting money on PMI, save up to make a large enough down payment before starting your home search. Contents insurance isn't mandatory at all, but it can be quite useful. This type of insurance will protect the contents of your home in a number of situations, including fires, burglaries, and floods. When you think about it, replacing the items in your home can be quite costly, so contents insurance can save you a ton. Take your time figuring out the price of the items in your home so that you have nice accurate coverage. Some contents insurance policies will only cover up to a certain price per item, so if you have pricey art or other luxury items, you may need to look into contents insurance policies that handle these types of objects. There are plenty more insurance policies you will have to consider when buying a home. From earthquake insurance to mortgage protection life insurance, be sure to do plenty of research so that you can make investments that make sense for your situation. Before finalizing your home purchase, be sure your investment is protected by a title insurance policy. To learn more about the benefits you can enjoy, contact Home Key Title at (508) 475- 5502.